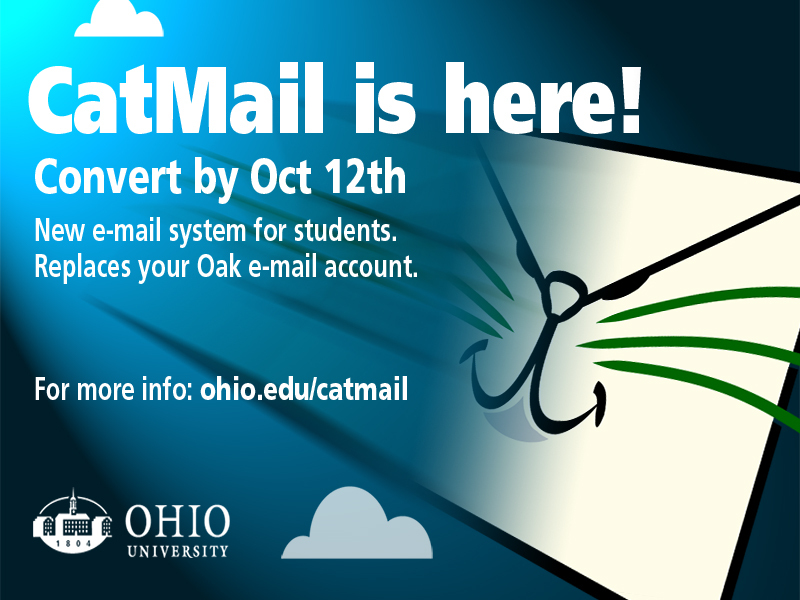 In 2010, Ohio University retired its aging Oak email system and implemented Microsoft Exchange-based e-mail and calendaring for all university employees and students. The new system, called “Catmail,” would cost less to maintain than the current Oak environment, would have increased capabilities, and be more compatible with mobile devices. My focus was on communication, marketing and software training. The first thing I would need to do was create awareness of the coming changes. My target audience was undergraduate students at OU. As the only instructional designer on the implementation team, I developed all training materials, print media and video, and oversaw the team who delivered face-to-face training sessions. I developed and maintained a website for the project to communicate out progress and updates, time table, scheduled events, and end-user instructional materials, how-to guides, videos, documentation. I used Adobe InDesign for designing print materials and posters. I used Final Cut Pro for video. I developed the website using HTML, CSS, and Cold Fusion.